OMG Its so hot here..Even adults couldn't manage the heat, then how can a baby tolerate the heat..Heat is such a bad enemy for us and our babies. It causes so many problems like sun burn, heat rash, dehydration, fever, diarrhoea, skin allergies and insect bites..So i am sharing some easy tips which i follow to keep maha cool and comfortable.. I bath maha twice daily. In the morning i apply coconut oil on her hair and massage her whole body with baby massage oil and allow the oil to steep for 15 mins or so. Then bath her with soap, shampoo. In the evening, i just wash her body alone in warm water, i dont normally use soap this time, it is a quick body wash for babies. This evening bath takes the heat which is developed in her body for the whole day. I also massage her body with baby lotion after bath, this will keep her skin soft and moisturized. I keep feeding maha with lots of clean water. This will surely make her cool from inside. 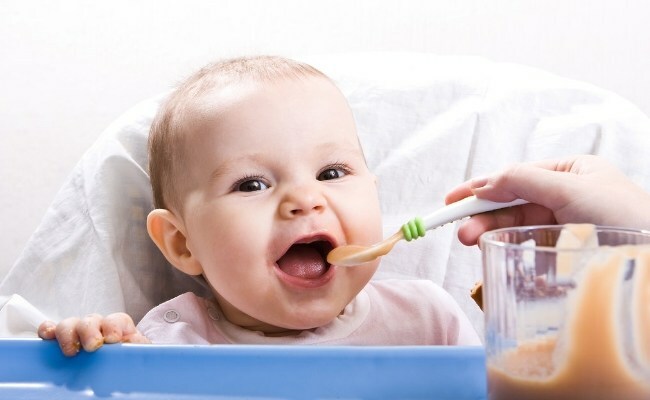 If you dont feed enough water for your baby, it will surely cause so many problems. So make it a must..
Our Bedroom is not that cool enough because it is not properly ventilated. So i make sure that it is cool enough to make my baby comfortable. I keep all the windows open during day time to make the room filled with fresh air. I invested on a table fan to keep the air circulation active. I Make sure that the room is clean always to get rid of all the mosquitos and insects. During summer, i just packed up those sweaters, full hand clothes, thick clothes for maha. I only dress her in cotton clothes and thin clothes which we call as "kattu udupu". And i also avoid using diapers a lot on maha , i put on cloth nappies on her during day and i use diaper in the night..
During night our room gets so hot and we will be literally sweating. I was bit worried about turning on the AC because i am not sure whether it will cause cold or something with maha. But my pediatrician told me that it is not a problem, but when your baby sweats a lot then it is a problem. So we decided turning on the AC and it didn't cause any issues with her. Infact she is sleeping peacefully nowadays. But i make sure that the temparature is around 25 degrees. I have read that we shouldn't take the baby out straight from a cold room to a warm temp, this may cause problems, So i switch off the AC in the early morning and let the room comes to normal temp gradually, this way maha's body also comes to room temp normally. 1) I never take her out during the peek hot hours 12.00 PM to 5.00 PM. 2) I feed her more fruit and vegetable juices and soups..
3)I sterilize her bottles well during this time. What all you do to make your baby cool during summer.. I would love to hear..
Hi Aarthi! I am a regular reader of ur blogs. I am a mother of 1 yr old boy and doctor by profession. Let me suggest u to avoid baby soap and use green gram flour for Maha. That's wat am using for my kid from day 1. And avoid baby lotion too. U massage her wit coconut oil b4 bath. That would be good. No synthetic products on babies under 5 years is advisable as their systems are still maturing. Consider. TC. I Massage head with oil as soon as Emy wakes in the morning!!! Then a good oil massage before bath!! Oil is must for cooling babies body temperature!! Loads of fresh clean water in sterlised bottles!!! Small amount of mashed banana near 11am!!! Use diapers only when outing, else i manage to change her nappy at nights!!! These r sum of my therapies!!! i use baby lotions& give him sips of water& first of all i dress him in loose cotton clothes. There are many tips for caring of baby skin in summer . But it is too hard and take much time . So u can use the cream for baby skin care in summer. It is easily useable. I am a regular reader of ur blogs. I am a mother of 1.5 yr old Girl Baby.I read the blog which u have post for how to care child during Summer. It is very useful to all Moms. Hi!! My baby 15 months old, has got loads of prickly heat!! Kindly recommend something pls!! My 12 months baby got pimple on her cheeks.Is there any home remedy for it? Maha can Sit Now !